Reverend Platt was born in Jersey City, New Jersey to the late Thelma McCrimmon Platt and James Platt. He moved to Newark with his family at the age of 5 years old. He was educated in the Newark Public School system where he graduated from Weequahic High School. He has an extensive education and music background for over 35 years. He has done research and studied at Kean University, Seton Hall University, and Yad Vashem Holocaust Center in Israel. He has a Bachelor’s and Master’s degree in Elementary Education from Jersey City State College. He has a second Master’s degree in Educational Leadership from The College of New Jersey. He also has a Certificate in Christian Ministry from New York Theological Seminary. He has toured nationally and internationally as a gospel music drummer. He has also worked as a drummer, writer, producer and executive producer on various gospel music recordings. Rev. Platt spent more than twenty years as an active member of Good Neighbor Baptist church under the leadership of the late Rev. Dr. John T. Teabout and Rev. Dr. George A. Blackwell, III. At Good Neighbor he served faithfully as a Musician, Sunday School Teacher, Deacon, Minister, and Assistant Pastor. Rev. Platt is a former bi-vocational Pastor. He recently retired as the Principal of WOK Middle School in Hillside, NJ. He completed a stellar 33 year career in education as a teacher, coach, and administrator in the Hillside Public School District. 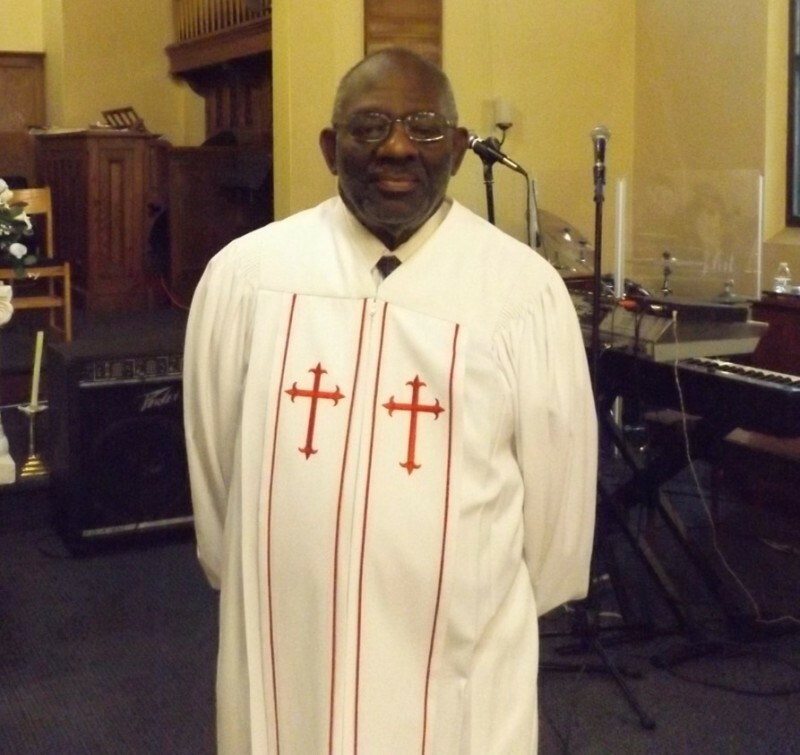 He now serves as the full time Pastor of the Nia Fellowship Baptist Church in West Orange, NJ and President of the United Clergy of the Oranges and vicinity. In July of 2014, Rev. Platt led the Nia Fellowship Baptist Church congregation in a successful acquisition of the former Ridgeview Community Presbyterian Church in West Orange, NJ valued at 1.2 million dollars. He also led the church in a project called “Project Pack Up”. That initiative helped the Nia Fellowship congregation to move in, renovate and revive the church building after the building had suffered fire damage and had been unoccupied for almost 2 years before the purchase. Rev. Platt has made a positive impact on the lives of thousands with his music, education, and ministry background. 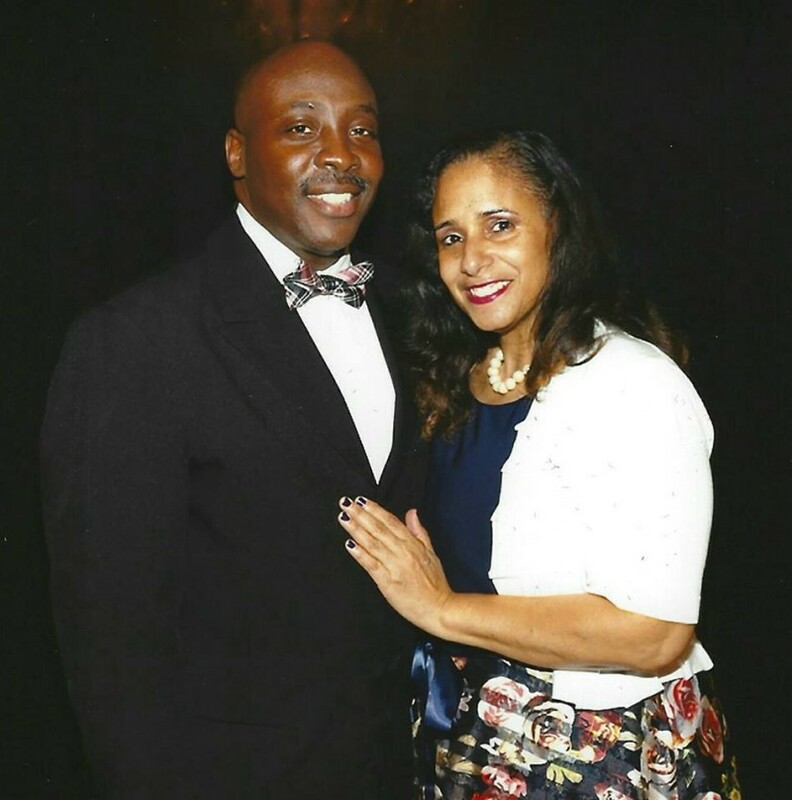 His goal is for the Nia Fellowship Baptist Church to become relevant as a new community church that helps maintain and enhance a positive quality of life in West Orange and vicinity. He has been the recipient of many community service awards. He works hard to improve the quality of life for all people. He believes that the healing formula to help our communities is the mixture of God, Education, and Love. Rev. Platt resides in Union, NJ and is married to Gwendolyn Denise Platt who is a Union Township Public Schools teacher. They are the parents of two lovely children named Parminder and Marcus. They are also the proud grandparents of a Grandson name Gideon. His favorite scripture is Psalm 34:1, “I will bless the Lord at all times. His Praises shall continually be in my mouth”. Lady Gwendolyn Platt was born on June 29, 1965 in Bronx, New York. She was adopted by Willie and Charles Foster and was raised in Roselle, New Jersey. She was educated in the Roselle Public Schools and later transferred to St. Joseph’s Catholic School. She graduated from Girls Catholic High School which is now known as Roselle Catholic High School. Lady Platt continued her education at Kean College in Union, New Jersey. There she studied Elementary Education because she had a longtime desire to be a teacher since 11 years old. She received a Bachelor’s of Arts Degree in 1987. After graduating from college, she began working for St. Catherine’s Elementary School in Elizabeth, New Jersey as a departmental teacher for 6th, 7th, 8th grades. Lady Platt decided to leave education and began working for Choices, Inc. Choices was a halfway house for women and children recovering from drugs and alcohol. During her two years as an employee, she became a certified social worker and substance abuse counselor for the state of New Jersey. Later, she worked for Planned Parenthood of Metropolitan New Jersey and became certified as an HIV counselor for the state of New Jersey. After a few years with Planned Parenthood Lady Platt’s desires to teach lead her back into education. She began working as a first grade teacher at The Chad School and Bethany Christian Academy both of Newark, New Jersey. After several years of private school teaching she landed a job in the Irvington Public school district. After leaving Irvington Public Schools, she worked for the Newark Leaguers and pursued her Master’s and Doctorate Degree in Education. During that time she was hired in the Union Public School district in 2010. She received her Master’s Degree with certification in Special Education in May 2011 from New Jersey City University and Supervisor Certification in May 2016. She is currently a Doctoral student at the College of Saint Elizabeth and she is presently working as a Special Needs teacher at Connecticut Farms School in the Union Public School District. In 1988, she married Alphonsus Platt and out of this union they have two children named Parminder and Marcus. They also have a 4yr. old Grandson named Gideon. Lady Platt is presently the First Lady of the Nia Fellowship Baptist Church in West Orange, New Jersey where Rev. Alphonsus Platt is the pastor. She gives all the praise, glory and honor to her Lord and Savior Jesus Christ for all the blessings that have been bestowed upon her. Her favorite Scripture is Philippians 4:13, “I can do all things through Christ who strengthens me. "The harvest truly is plenteous, but the labourers are few." demonstrating the love of Christ in the world. “Quality of Life” for its residents. we would love to have you be our guest. Reverend Walter E. Longshore III was born in Orange NJ, the son of Dr. Walter & Laura Longshore. Walter was educated in the Orange school system and graduated from Orange High School. Rev. Longshore, has a BA from Central State University in Ohio and a Pastoral Counseling certificate from Blanton Peale Institute in New York. He has done advanced degree work at both New York Theological Seminary and Eastern Seminary in PA. He has also studied at Eastern Bible Institute in Newark. NJ. He has completed all of the required course work for certification as a drug and alcohol counselor (CADC). Walter, is currently employed as a Case Manager for Community Education Centers in Newark, NJ where he assist former inmates with addiction, housing and employment concerns. Rev. Longshore started his Christian journey at Union Baptist Church in Orange NJ. under the late Rev. James Vance McIver. In 1996 he responded to the Lord's call to serve His people, and in 1997 was licensed to preach the Gospel at Imani Baptist Church under the Pastorate of the late Rev. Moses A. Knott Jr. whom he followed to Nia Fellowship Baptist Church. Reverend Longshore was ordained under the Pastorate of Rev. Alphonsus E. Platt. He is currently a member of the ministerial staff of Nia. Walter, has served God in many capacities including usher, teacher, trustee, deacon and counselor. Rev. Longshore conducts Christian services at the White House Nursing Home in Orange, and at Logan Hall, a half way back facility in Newark. He has also served as a Hospice volunteer. He believes that the best way to serve God is to serve his people. Rev. Longshore is married to Louella and he is the father of Kyra, Marc, Brittany and Deshawn. He is also the grandfather of eight. Evangelist Jerry Ann Hendricks was born in Beaufort, North Carolina to the late Jennie James and Rev. Montrose Debrix (Port Arthur, Texas). Jerry Ann Hendricks matriculated at East Carteret High School, in Beaufort, North Carolina. Having been raised by a God-fearing mother and attending Church all of her life, at the early of age twelve, she accepted God and was baptized. In the midst of a “wilderness experience” Evangelist Hendricks accepted the call of God on her life and began to study under the leadership of Rev. Dr. Ezikiel Murrell, Jr. of Great Joy Worship Center Church, Beaufort, North Carolina. Under this leadership, she began the teaching of the understanding of God’s Word in a home bible study. On February 18, 2001, she was ordained by Apostle Willie Murray of Newport, North Carolina and thus moved to study under the leadership of Bishop Andre Jackson, New Vision Full Gospel, East Orange, New Jersey. In August 8, 2006, she started attending and joined the Nia Fellowship Baptist Church, under the leadership of Rev. Alphonsus E. Platt. 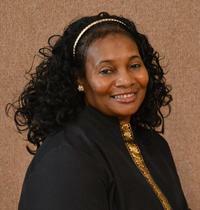 In 2009 she was licensed as an Evangelist by Nia Fellowship Baptist Church which is affiliated with the New Hope Missionary Baptist Association. On March 18, 2018, Nia Fellowship Baptist Church accepted the United Clergy of the Oranges, Inc. Ordination Council’s Report and Evangelist Hendricks was Officially Ordained. Because of her love of God and her zeal to lead others to Him, Evangelist Hendricks leads and participates in prison and street ministries, abused women and children shelters, substance abuse guidance and continuous missionary work. Evangelist Hendricks decided to further her studies by attending the Divinity Bible Institute, located in East Orange, NJ and Whiteville, NC under the tutelage of Dr. Byron E. Lennon. In her desire to serve and help others she became a licensed CHHA. She is employed at Memory Care Living, a residential treatment center for individuals with Alzheimers as an Activities Coordinator. She is the wife of Marvin Hendricks, the mother of Katrina James-Pellam and the Grandmother of her prides, Jordan and Justin James.